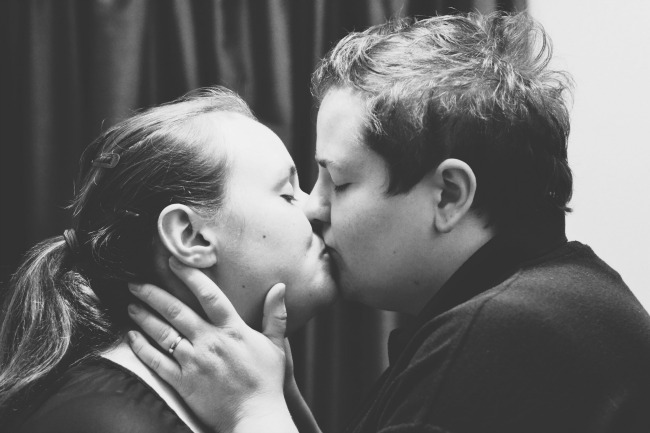 When I was asked to be part of the Me and You photography project, I felt it would be a great opportunity to share more about C and I as two women in love and not just as M’s Mummy and Mama. We love our roles as parents, but we both feel it’s important to remember why we fell in love with each other. Last month I shared my fear of holding C’s hand, at one point in our relationship, which got me thinking about our relationship before M. The many nights we stayed up watching the L word and talking about silly stuff that made us laugh. Going to the cinema late at night to catch the last showing of a horror film. Convincing C to let me watch said horror film, as she hates them. We’d drive to Brighton in the evening, just so we could share a bag of chips on the beach and play air hockey in the arcades. Once we moved to Dorset this became driving to Sandbanks to enjoy the sunset with some homemade fajita wraps. Many trips into London, to find Elephants, eating at Wasabi and buying Lola’s cupcakes. I love the way that C can make me smile by saying something daft, but also challenge my mind with something profound. Her love of theatre makes me smile and I love how she tolerates my many hobbies. Becoming parents made us incredibly happy, we discovered qualities we never knew we had. 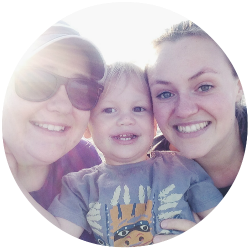 Even though we are more tired, have less time as a couple, we still fit in the odd game of air hockey and will always be two women in love, we just have an incredible little boy to show for our love. A beautiful photo. One thing about the Me & You project that I love is spending some time each month focusing on the couple. Through taking the time out to take the photo and then also write the blog post. Aww!! Beautiful post and photos!! This post made me teary. I love it. And the photo is beautiful too. This is such a lovely post, and a beautiful photo. It sounds like you have some amazing memories too. Such a lovely post. You can see how much in love you both are. Beautiful, lovely words and photo!